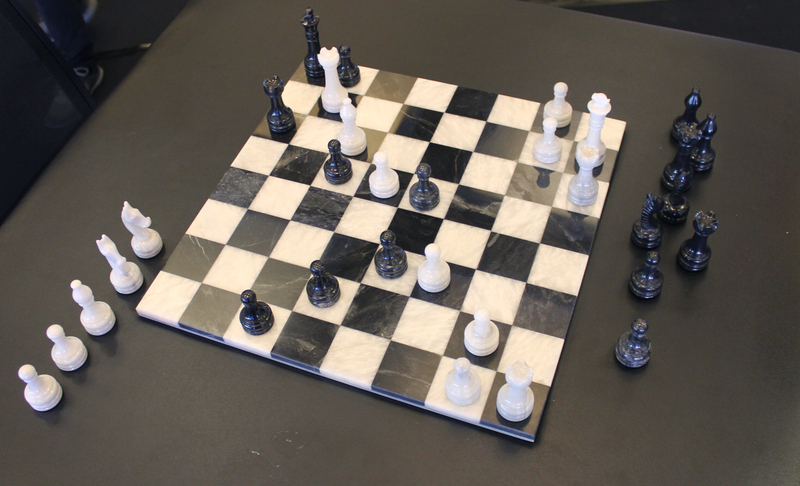 Artists Malcolm Whittaker and Jess Olivieri teamed up with the UTS Chess Club to explore Chess, academia and the contemporary arts through two months of Chess games and conversation at the Chess Club meetings. The outcome of their meetings was the temporal public art performance A Game of Chess where four academics were asked to play a game of Chess in the public foyer of UTS and discuss their research, with a Chess Club student, through the framework of Chess. The student brought their expertise of Chess and the academic was challenged by discussing their area of expertise in a foreign format. The conversations, broadcast through speakers and projected on screens, ranged from business analytics, to racism in urban environments, to design and colour theory to a discussion on colonisation in Australia from an Indigenous perspective. A Game of Chess occured on 24 May 2017 in the main foyer of UTS Tower, 10am – 2pm. The game of chess began before the sixth century, most likely in India. For nearly fifteen hundred years it has been a game for thinkers, whether they be artists, philosophers, militaries or factory workers. As French artist Marcel Duchamp notes, it is “a game of logic and mechanics, rather than mathematics”. What themes are at play in a game of chess? In what ways does chess operate as a metaphor for life beyond the game? Is a game of chess ever just a game of chess? 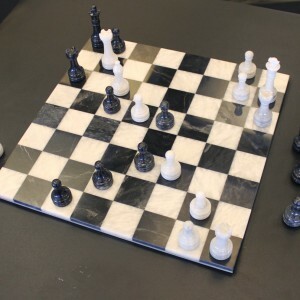 A series of academics will explore these questions as they talk about their areas of research through the framework of chess, while being challenged to a game by members of the UTS Chess Club. Watch the theatre of chess exposed, and the discussions and meta-discussions evolve.